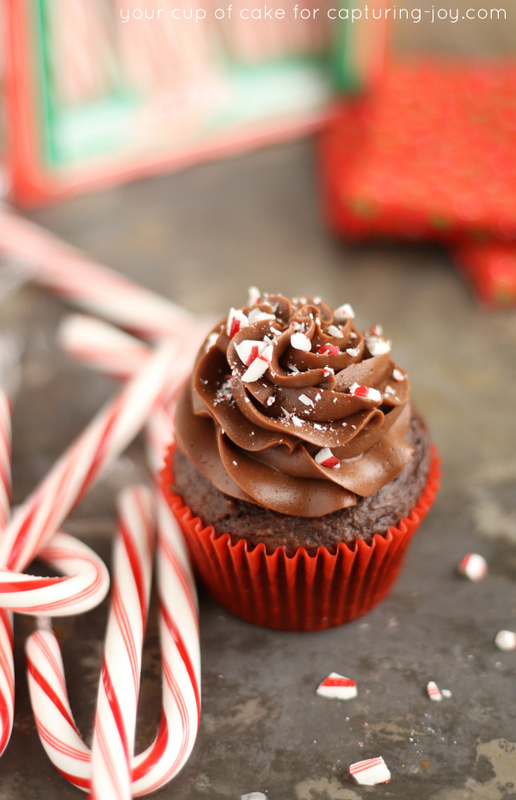 These rich chocolate cupcakes with chocolate peppermint frosting are perfect for Christmas! Now I’m all about cupcakes over at Your Cup of Cake and the Christmas season is a great time to give away adorable treats. These Chocolate Peppermint Cupcakes are easy (because they start with a cake mix) and there’s just no way to go wrong with decadent frosting like this! 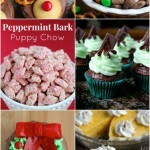 And with a little sprinkle of crushed candy canes, you get a pop of color and crunch. It’s like a christmas party in your mouth! In a large bowl, combine cake mix, eggs, oil, milk, sour cream and vanilla extract and stir until smooth. Fill cupcake liners 3/4 full and bake for 15-20 minutes or until and inserted knife comes out clean. Frosting: Beat butter until smooth. Add peppermint and vanilla extract, cocoa powder and milk. Slowly add in 1 cup of powdered sugar at a time until you reach your desired consistency. If the frosting becomes too thick, add more milk. 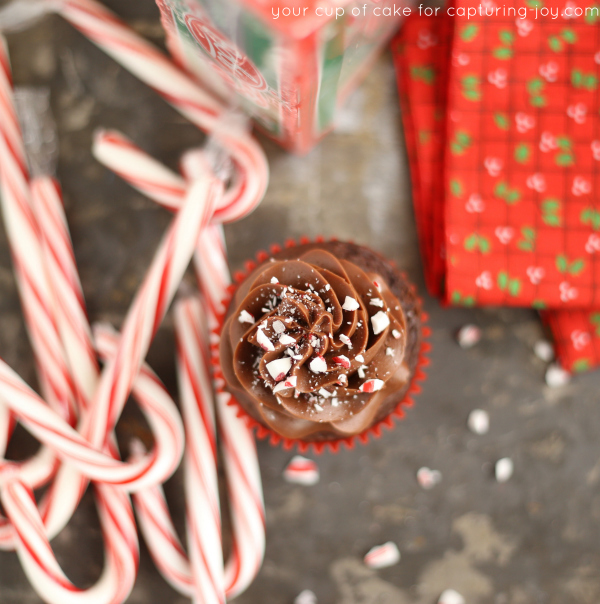 Pipe onto cooled cupcakes and top with crushed candy canes! Are you ready for Thanksgiving? I know I’m not. But I am TOTALLY ready for all the Christmas movies! I started watching them in September–don’t judge me. Though I refuse to watch the classics until after Thanksgiving. 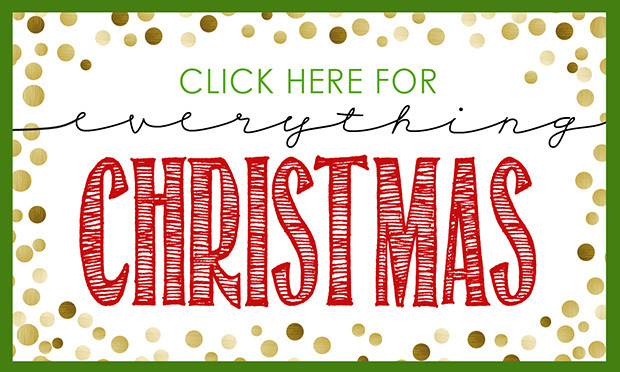 For more Christmas treats, check out my Christmas Dessert Round-up! And yes, that’s eggnog pie you see… AND the cutest Reindeer Cupcakes ever.